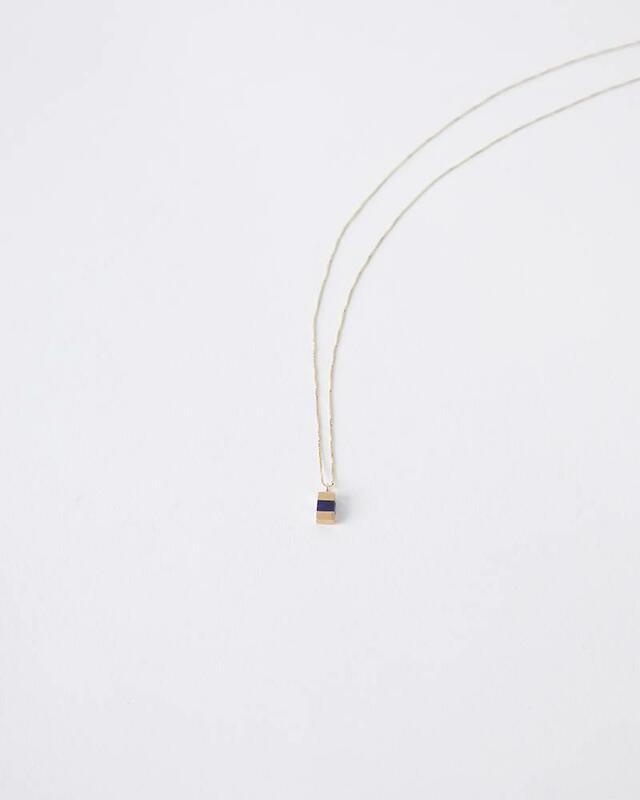 14k gold bar pendant with lapis inlay for a dash of color. 14k gold 18 inch chain. An everyday balanced piece to wear alone or layered.